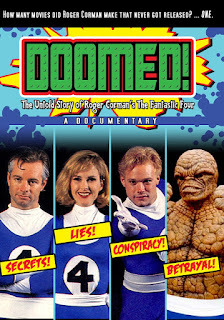 If you love docs and superhero back stories I say check out Doomed: The Untold Story of Roger Corman's "The Fantastic Four." 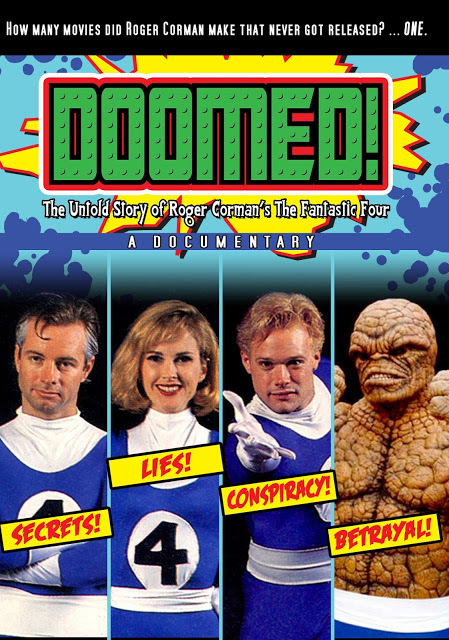 It's a look at the utterly bizarre first Fantastic Four film never officially released that was only made to make sure a contract for rights for the film didn't go away. You'll get first hand accounts of how the film was made and then never was allowed to be shown and still isn't. The only copies out there are bootleg and look awful, I know, I've seen it. Hopefully, a demand for a simple online release will come off of this doc showcasing the cheap as 1 million dollars film in the light. Find it through various online video sites.